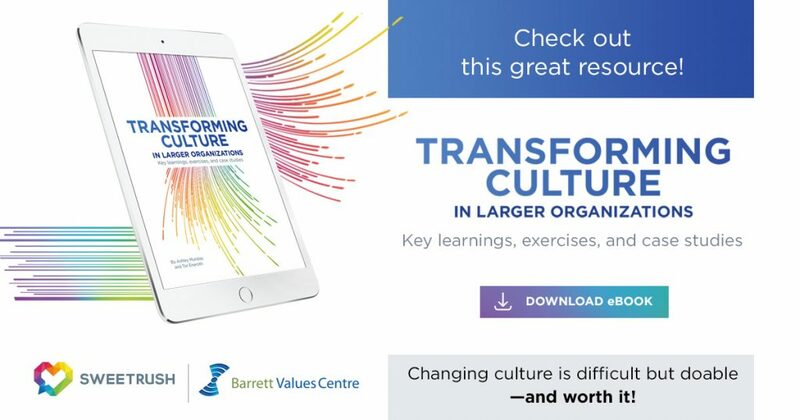 Transforming Culture in Larger Organizations features real-world case studies and best practices for transforming organizational culture and is available now for free download. 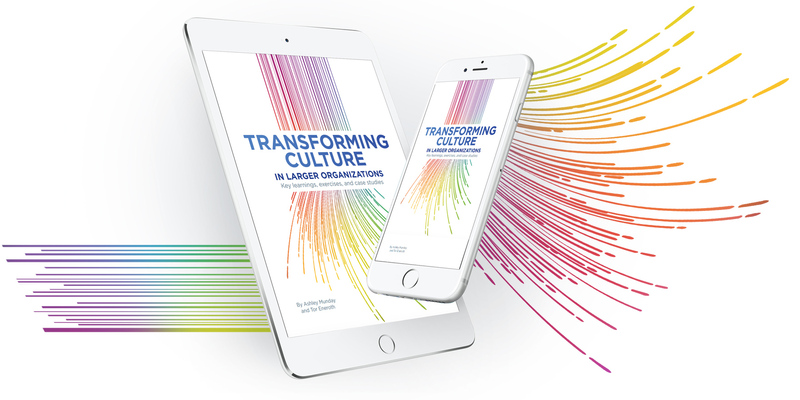 San Francisco, Calif., July 2, 2018— SweetRush proudly announces the launch of a new eBook, Transforming Cultures in Larger Organizations, coauthored by the company’s Director of Cultural and Organizational Transformation, Ashley Munday, and Barrett Values Centre’s Network Director, Tor Eneroth. In the eBook, Munday and Eneroth provide a holistic understanding of how leadership, strategy, values, and employee engagement are all critical to building your culture. The authors share case studies and best practices from working with leaders in larger organizations—important lessons learned that readers can apply to transforming organizational culture at enterprises of any size. Transforming Culture in Larger Organizations is now available for free download on SweetRush’s website. Ashley is a strategic advisor, change facilitator, and executive coach with over 20 years of professional experience. You can contact her at: ashley.munday@sweetrush.com. Tor is responsible for the Network Team at Barrett. His role includes guest speaking, executive coaching, and consulting. He is also a member of the Barrett Values Centre Management Team. You can contact him at: tor@valuescentre.com.